If you or a loved one is suffering from an illness or possible death, and are searching for New Jersey water contamination lawyers, call the offices of Martin Kane Kuper, LLC as soon as possible. Martin Kane Kuper is a firm of civil trial attorneys who specialize in personal injury and illness cases caused by neglect or lack of concern for safety. We have successfully litigated multi-million dollar settlements on behalf of clients throughout the state of New Jersey. Chemical Spills. Large plants such as oil refineries can be responsible for leaks and spills, releasing cancer-causing chemicals into ground water. These chemicals can both damage property and cause grave health problems for residents. Bacteria in Hospital Faucets. When hospital workers use the facility faucets to wash their hands frequently, they can leave bacteria in the sinks and pass on these germs to the next user. Water samples show much greater microbial loads if sinks are insufficiently sterilized. Failure of Child Safety Devices. If toilet and cabinet locks designed to keep children away from contaminated water sources, a child could have unlimited access to dangerously contaminated water. 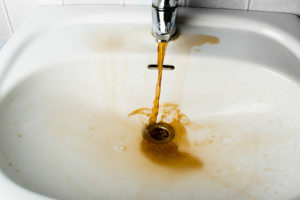 The professional legal team at Martin Kane Kuper will work diligently to find the cause of water contamination, and we’ll work quickly to preserve available evidence. We have a record of success trying cases of product liability, medical malpractice, and personal injury, and our dedication and willingness to go to trial when necessary is what drives that success. If you believe you or your loved one’s illness or death was caused by negligence, call the offices of Martin Kane Kuper today for a free consultation. We’ll help you make an informed decision about whether to pursue litigation, and we’ll help you gain the compensation you deserve.